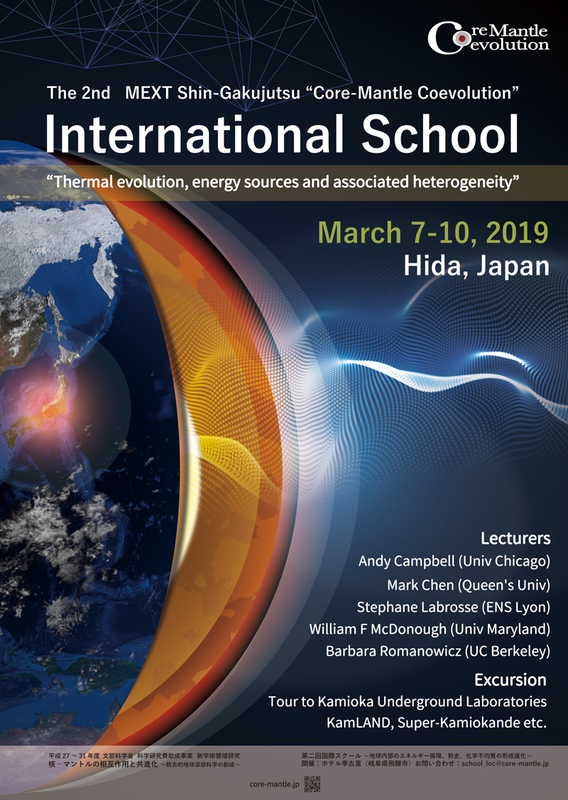 The international school “Thermal evolution, energy sources and associated heterogeneity” was held from March 7th till March 10th in Hida, Japan. Please visit the following link regularly to check updates. The Earth is a huge thermal engine releasing heat from deep to space. There are some heat sources for it, including gravitational energy stored at the formation of the Earth, through the growth of the inner core and the chemical evolution of the mantle, and decay heat of some radiogenic nuclides is also important one. All the dynamical processes in Earth’s interior are driven for the thermal energy transfer (as effective as possible), generating several classes of thermal and chemical heterogeneity. 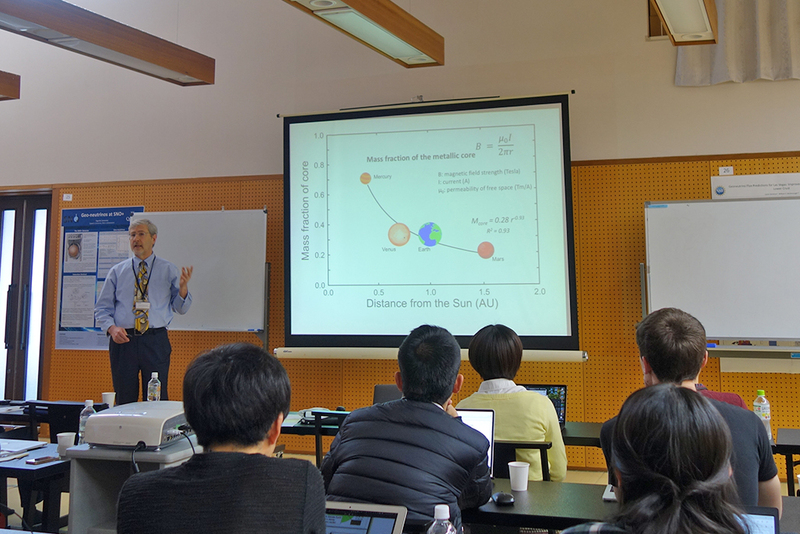 In this school, we have lectures on the Earth’s interior by world leading experts of different research disciplines, geochemistry, geodynamics, seismology, mineral physics, and high energy physics, from this point of view. 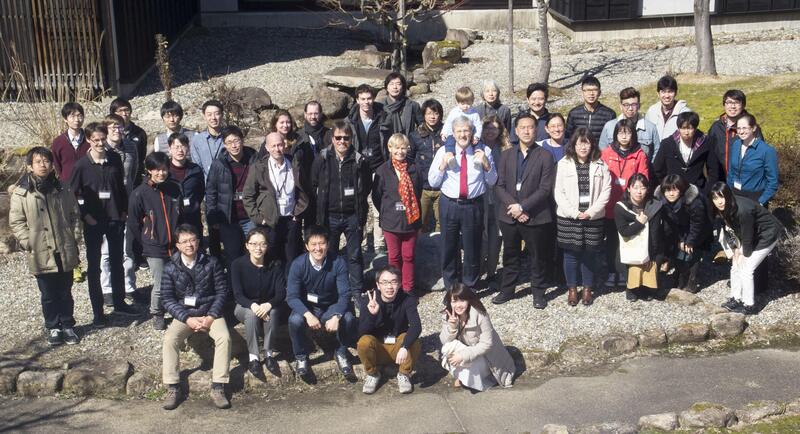 The school is held in the place near Kamioka underground observatory with support from the MEXT Core-Mantle Coevolution project. Kamioka is famous for some memorial measurements related mainly to high energy physics. 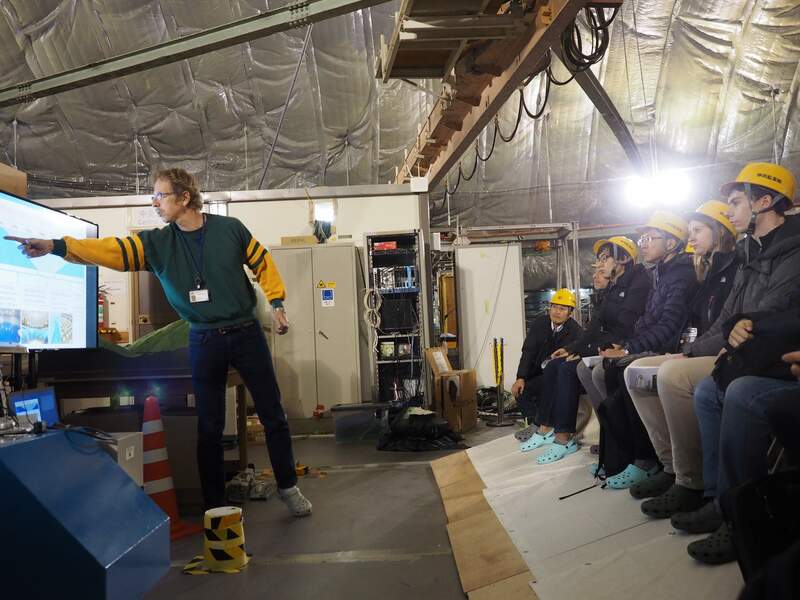 The geoneutrinos measurement is one of them, which are generated through the decays of radiogenic nuclides (U, Th, and K) and were observed in 2005 for the first time in the world by using the KamLAND detector installed in Kamioka underground observatory. Fees The registration cost for lodging and meals at Hotel KIKORI is approximately 37,000 yen (roughly 330 USD) for three nights and four days. Payment can be made directly to the hotel when you check out. We will also collect 4,000 yen per person to cover entertainment expenses at the registration. Maximum size of a poster is 90 cm (W) x 120 cm (H) printed in vertical. A0 (84.1 x 118.9 cm, 33.1 x 46.8 in) is recommended. * 1-page slide : 1-min student presentation is planed. 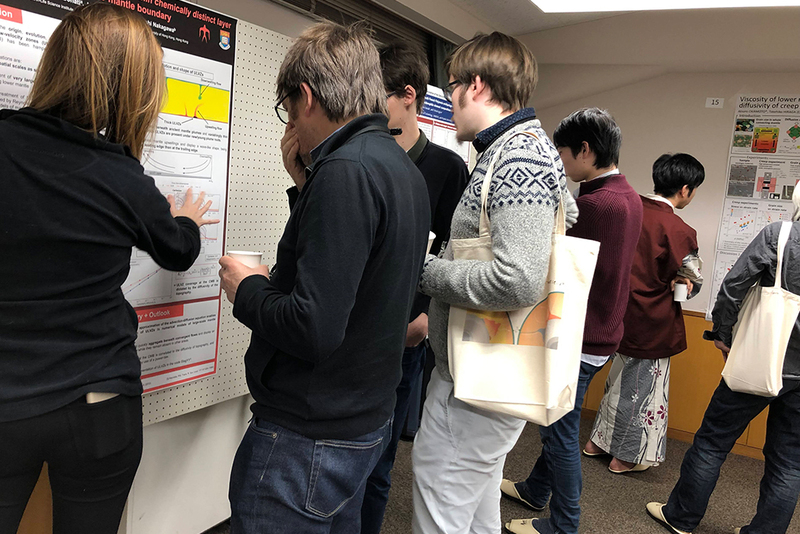 Please prepare 1-page slide which summarizes your poster. The preferred file type is PDF. FYR, the following are information on the travel to Toyama. It is easy to go to Toyama Station from Toyama Airport. Local bus or taxi are available. It takes ~20 min. Around Toyama Station, there are lots of hotels and nice restaurants. Toyama is very good place to have fresh fish. There is no flight from Narita Airport. Shinkansen (comfortable rapid train) is available from Tokyo area to Toyama station. You need to change trains at Ueno or Tokyo station, and then take Shinkansen to go to Toyama. This webpage will be useful to check how to go to Toyama by trains. Here is a link to share the map around Toyama and lists of visiting places.